The words of a dying man lead a shifty American (Robert Arden) to a peculiar European millionaire (Orson Welles) who hires him to investigate his hazy past. Like many of Welles' films, Mr. Arkadin (also know as Confidential Report) was assembled into several different versions. I elected to watch the comprehensive edition on a recent Criterion treatment, the distributor's suggested version and, despite some bad dubbing and rugged cutting, the best as far as I could tell. Arkadin also bears similarity in plotting, in large ways and small, to its auteur's other films: a flashback structure with the protagonist learning the truth about a secretive billionaire (Citizen Kane), a postwar European set black market story (The Third Man), and even the late appearance of assured Katina Paxinou reminded me of Marlene Dietrich's cameo in Touch of Evil. 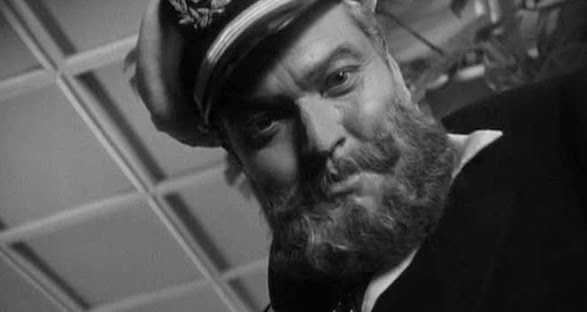 However, despite the similarities to these classics, Mr. Arkadin isn't plotted nearly as well and Arden is dreadful in the lead, but the film features some fine camerawork and Welles is a lot of fun in the title role. Beginning with John Muir's dream of seeing his beloved Yosemite protected, continuing with Theodore Roosevelt's follow through using presidential action to preserve pristine natural monuments around the country, and concluding with controversial decisions to protect vast amounts of Alaskan wilderness in the 1970s, while covering a multitudinous number of stories from many of our 59 federally protected parks in the years in between, The National Parks is another ambitious, informative, and patriotic work from documentarian Ken Burns. As most of Burns' films on extensive topics have a habit of doing, The National Parks produces a "star" here in the form of Shelton Johnson, an eloquent Yosemite Park Ranger from humble beginnings on the urban landscape of Detroit. Aside from Shelton, however, the talking heads are surprisingly lackluster, perhaps because there's only so much to be said about the majesty of these wonders that already speak for themselves, especially when you've had the privilege to have seen some of them in person. Nonetheless the historical aspects and footage are excellent, which is par for the course in a Burns' film, and despite a few plodding middle episodes, the opening and concluding segments are astounding. A dull teacher (Peter O'Toole) finds unexpected love with a chorus girl (Petula Clark) while on vacation in the Greek isles and returns with a new attitude to his all boys British preparatory school where he was once the scourge of his students. Goodbye, Mr. Chips is the second screen adaptation of James Hilton's novel, and although O'Toole is superb and Clark is sweet, this simple story is so overblown and compounded by a needless and saccharine musical treatment. The daughter of an art forger (Audrey Hepburn) resolves to steal her father's product, a replica statue of Cellini's Venus on display at a renowned Paris gallery, in order to protect his reputation when he fears analysis will out him as a fraud. To achieve her goal, she enlists the help of police detective posing as a burglar (Peter O'Toole) who can't help but fall for his lovely target. William Wyler's How to Steal a Million is an incredulous and uninspired romantic comedy invigorated by the aid of its charismatic stars and an entertaining heist sequence. When the coal miners of a small West Virginia town decide to strike, union forces and the mining company come to an explosive and violent head in this patchwork recreation of real life events from 1920. 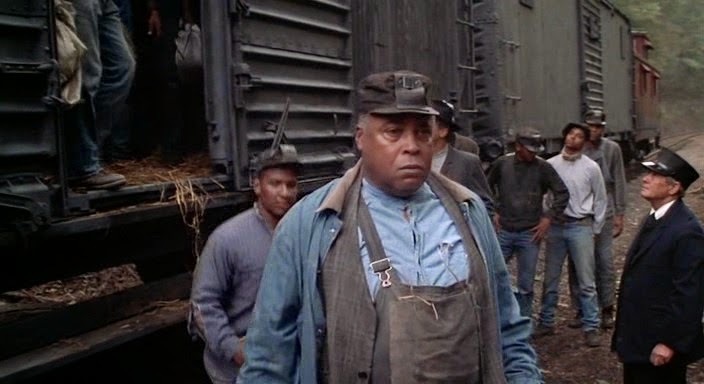 John Sayles' Matewan is a thoughtful, powerful, meditative, and humanistic pro-labor portrait enhanced even further by the stunning Haskell Wexler photography and a profusion of supporting performances, headlined by Chris Cooper, David Strathairn, and James Earl Jones.